How was your franchise/opportunity originally conceived and started? This is a family owned and operated business. My parents started a medical billing company in Dallas TX in 1987, and in 1994 they formed American Business Systems and started teaching others how to market their own billing businesses. What was your original vision for your company? How has that changed over time? 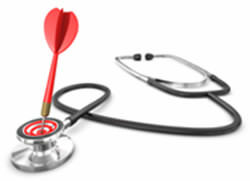 The original vision was to have saturated the market for outsourced medical billing companies by the year 2000. We discovered that we have yet to scratch the surface of the market due to the fact that doctors are in such dire financial states right now, and our program works for virtually any medical specialty. What do you believe is the single most important factor when choosing a franchise? That you will enjoy the work. Why should someone choose your franchise over other similar franchises? A lot of people are drawn to a business that allows total freedom on how the business is run, what you charge clients, etc. Also, if you don't like to pay royalties or have territorial restrictions, this opportunity is a good choice. What makes your industry attractive? There is growth in healthcare no matter what the rest of the economy is doing. Millions of new medical claims to be filed with Affordable Healthcare Act, Millions of Baby Boomers will need medical care in the coming years. 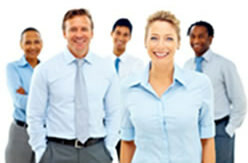 What types of qualities do you look for in potential franchisees? Anyone who can follow a process and build relationships can succeed in this business. What do your franchise fees and royalties cover? The initial one-time fee covers 9 different products, services and software that can be offered to medical providers as well as some for non medical. Lifetime training and Support at no extra cost. There are no restrictions on where you can market and most of the time, licensees get referrals from all over the country. Why has your franchise model been successful? Licensees can make $100K + annually with just a handful of doctors. No product to stock, no hardware, no retail space, no staff. Where do you see your franchise in 5 years and 10 years? We are already the nation's largest network on independent medical billing companies. Within 5 years we will have over 2000 licensees in all fifty states. Within 10 years, our licensees will own the marketplace in all but the smallest cities. What is your favorite advice for new franchisees to help them succeed? Stick with the marketing plan that we teach you. Those that stray usually struggle in getting clients. What would you tell potential franchisees that may be nervous about the financial burdens of starting a franchise? Many giant corporations were started with credit cards and a dream. If you have the drive to succeed, you'll find a way to meet your goals, regardless of setbacks or delays. Can you explain your financial assistance (if applicable)? We have several options for helping prospective licensees with financing. Contact us for details. On average, how long does it take to start a new franchise from the franchisees point of view? With our opportunity, once you graduate our week long class in Dallas, you are able to start marketing as soon as you get home. Average time to get a first client is 60 days out of training. What was your background and experience before founding this franchise? My parents, Patrick and Linda Phillips founded this business in 1994 after having started their own successful medical billing business in 1987. Our Founder, Patrick Phillips, is a best-selling author, nationally-recognized speaker and entrepreneur who "retired" at age 52 after having founded a national financial services company generating over ten million dollars a year. The principles in his newest book, How To Reprogram Yourself for Success, have been used by thousands of people worldwide to improve their relationships, break bad habits and reach their personal and financial goals. Because of the popularity of his "Million-Dollar Mindset," he's been interviewed on dozens of national radio and television programs and is the Chief Success Coach for American Business Systems.